GEO Group Inc., which operates detention and correctional facilities, said Monday that the State of California has decided to cancel contracts to house low level state offenders at three of its facilities. The news sent its shares down 81 cents, or 3.4 percent, to $22.79 in midday trading. 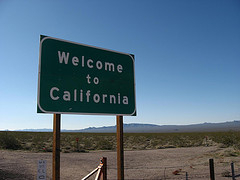 As part of a restructuring, California is expected to delegate tens of thousands of low level state offenders to local county jurisdictions effective Oct. 1. As a result, the state won’t need to house the offenders at a 305-bed GEO facility effective Sept. 30, and at 643-bed and 625-bed GEO facilities effective Nov. 30. GEO said it’s actively marketing the facilities to local county agencies in California, which are already at or above their capacities and will now be responsible for housing the low-level state offenders. If GEO is unable to find customers for the three facilities, it expects the cancellations to reduce its annual earnings by about 10 cents to 13 cents per share, including carrying costs, as long as they stay empty. The three facilities produce a combined $33 million to $35 million in revenue a year. The company said that it’s not changing its previous full-year financial guidance given the timing of the cancellations.